Am planning a trip next week to Denmark - probably Aarhus and Copenhagen Roskilde, and maybe some islands in between. Intending to stop at Texel on the way. Haven't been in this direction before so I would welcome any recommendations/advice on places to visit/stay, flight procedures etc. Thanks. 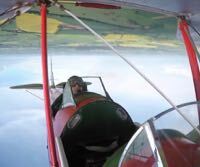 I flew to Sonderborg a couple of months ago (IFR) in an Arrow. Easy trip, friendly people, no hassle. Will certainly go again! Second thumbs up for Sønderborg. Copenhagen Info were excellent. All very straightforward, no hassles. Trip report link on “Scotland to Sweden” below. All major aiports run by the government (SLV), except Copenhagen/Kastrup, have very reasonable landing fees. It less than 100 DKK/10 GPB. Small airfields can charge more, but the most I've paid is (I think) 250 DKK. EKAH Aarhus is a nice airport, but it's very far from the town. If you're looking for an overnighter, or an extended lunch break, I'd recommend EKYT Aalborg instead. Bus (20 DKK pp) or taxi (~250 DKK) to town takes some 15 minutes. I've used EKRK Roskilde for fuel stops many times, but the taxi ride to town isn't that far. And from Roskilde you can take the train to Copenhagen. Soenderborg is a nice town with the airport reasonably close. Another nice town is Odense, birthplace of Hans Christian Andersen. Taxi ride to town is some 20 minutes (from memory). At Stauning, there's a good aviation museum if you're into that sort of thing. A special feature in Denmark is all the little islands with grass strips. Very often, bikes are availble for rent. Some examples are Laesoe, Anholt, Samsoe, Aeroe and Endelave. I forgot one thing: if you're travelling with kids (or with people young at heart), the original Legoland is right next to EKBI Billund airport. Denmark is a great place to fly around and to. My experience in recent times is numerous (IFR) trips to both Kastrup (for Copenhagen) and Billund for Legoland. I will be back to Billund in October for the Halloween Spooktacular at Legoland. Feel free to drop me a PM if I can be of any help. 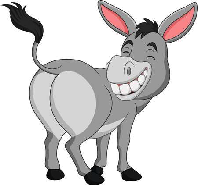 2Donkeys wrote: My experience in recent times is numerous (IFR) trips to both Kastrup (for Copenhagen) and Billund for Legoland. What did it cost to land at Kastrup? Kastrup is around GBP250 for landing and a day's parking in a PA32. Contrast with Roskilde which is around GBP30. Return taxi into and out of Copenhagen from Roskilde is around GBP120, and 35 minutes each way. Kastrup is around 10 minutes from the city. For IFR ops, there are slot issues around Kastrup which don't exist for Roskilde. Roskilde Handling are absolutely lovely and a joy to deal with. The choice between the two ultimately boils down to cost versus convenience.